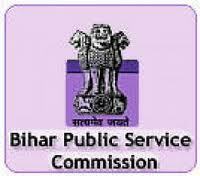 Bihar Public Service Commission has announced recruitment news for the post of Lecturer. Applicants interested in this job may apply on or before 20th September 2017. Bihar Public Service Commission has announced recruitment news for the post of Assistant Professor. Applicants interested in this job may apply on or before 31st May 2017. Bihar Public Service Commission has announced recruitment news for the post of Assistant Director (Cardiac Surgery), Assistant Director (Pathology). Applicants interested in this job may apply on or before 8th May 2017. Bihar Public Service Commission has announced recruitment news for the post of Assistant Engineer. Applicants interested in this job may apply on or before 8th May 2017. Bihar Public Service Commission has announced recruitment news for the post of Assistant Director (Cardiac Surgery) and Assistant Director (Pathology). Applicants interested in this job may apply on or before 08th May 2017. Bihar Public Service Commission has announced recruitment news for the post of Assistant Engineer. Applicants interested in this job may apply on or before 12th April 2017. Bihar Public Service Commission has announced recruitment news for the post of Mobile Veterinary Officer. Applicants interested in this job may apply on or before 31st March 2017. Bihar Public Service Commission has announced recruitment news for the post of 60th, 61st & 62nd Common Combined (Preliminary/Mains) Competitive Examination for 642 Vacancies. Applicants interested in this job may apply online on or before 31st October 2016. Bihar Public Service Commission has announced recruitment news for the post of Civil Judge through 29th Bihar Judicial Services Competitive exam. Applicants may apply online on or before 22nd February 2016. 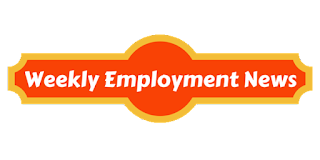 Education/ Qualification: Applicants applying for this job must possess Law degree from government recognized university and by Bar Council of India. Fee: Fee of Rs. 600/- for General and OBC candidates and Rs. 200/- for SC/ ST candidates of Bihar payable via Bank Challan payable at any SBI branch.